starts with a quality education. Choose the right school and degree. The importance of forensic psychology is undeniable. 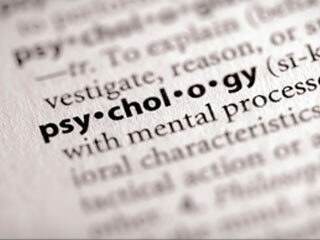 Forensic Psychology Online is here to serve as an online resource regarding this field. Professionals in this field have proven that this practice is an irreplaceable asset to our system of justice. Every day, forensic psychologists serve in a number of different capacities to ensure that our communities are safer places than they were the day before. Right now, a forensic psychologist is likely serving as an expert witness in a trial, testifying as to the mental state of a defendant and competency to stand trial. Another forensic psychologist is, without a doubt, conducting research in order to improve treatment effectiveness. Yet another is in the classroom preparing future forensic psychologists for challenging careers. The demand for qualified forensic psychologists is growing. The mission of Forensic Psychology Online is to continue to foster the development of this career field and ensure that the pipeline of forensic psychologists is always full. In order to accomplish this mission, Forensic Psychology Online has been designed to not only spark the interest of its visitors, but to also help guide them in the right direction. By providing tools and resources, such as the steps to becoming a forensic psychologist and lists of the forensic psychology schools and the programs that they offer, interested individuals should have what they need to get on the right path towards a career in forensic psychology. An example of the tools and resources available to Forensic Psychology Online visitors is below. Forensic psychology has grown in popularity with the increase in television program and mainstream knowledge of the field. Forensic psychology is the melding of psychology and law. Individuals working in this field often find jobs at prisons, jails, police departments and government agencies. 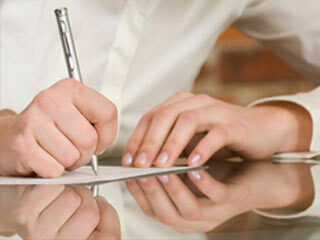 It is not uncommon for someone to work directly with attorneys, defendants, offenders or victims. 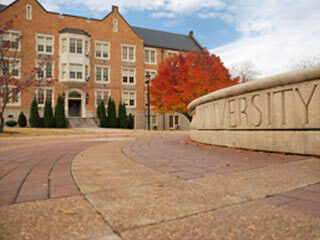 Other psychologists specializing in forensic psychology may choose to work in colleges, universities or research settings. The first picture of a forensic psychologist that many of us get is the idea of someone who is able to look at a legal case and figure out what type of person would commit a crime. While it is certainly part of the field of forensic psychology, it is not the only way a psychologist in this field will spend their time. Understanding how psychology and the law intertwine is the forensic psychologist. They understand the psychology behind a criminal, crimes and rehabilitations; but the forensic aspect of their knowledge helps them understand the investigation, legal issues and individuals’ motives. The field of forensic psychology requires more than an in-depth knowledge or psychology and therapeutic techniques. To be a forensic psychologist you need to understand psychopathology, which is the study of maladaptive behavior and mental illness. A solid understanding of the motives individuals have for their criminal behaviors and the clinical assessment of individuals is also a needed part to this field of psychology. Psychologists who practice forensic psychology in an applied setting are generally working with patients, attorneys or law enforcement personnel. These psychologists might work in a correctional facility providing treatment to inmates, group therapy, crisis management and evaluations. Some forensic psychologists might work with attorneys in a private practice situation where they are providing assessments in various forms and competency evaluations. There are a variety of different jobs a psychologist in the field of forensics could work in and each one has their own specific training and working descriptions. Forensic psychologists that concentrate on academic settings might spend their time researching criminals and their mental processes. Other areas of specialty could include criminal profiling, mental health treatment effectiveness with offenders and jury selection techniques, just to name a few. The academic field is limitless. The impact of forensic psychologists in the academic field often rolls over to the day to day functioning of forensic psychologists in the applied field. Forensic psychology is a complex field that involves the combining of psychological knowledge and a variety of law fields. Individuals who work in this field can find jobs with police departments and other correctional facilities, as well as therapeutic environments. Academic psychologists who want to specialize in forensic issues often turn to teaching or research in their field. Forensic psychology is more than just profiling of criminals; it is an in-depth psychology field with a variety of specialties all combining psychology and some form of legal field.